Productive employees, happy employers – best workplaces! 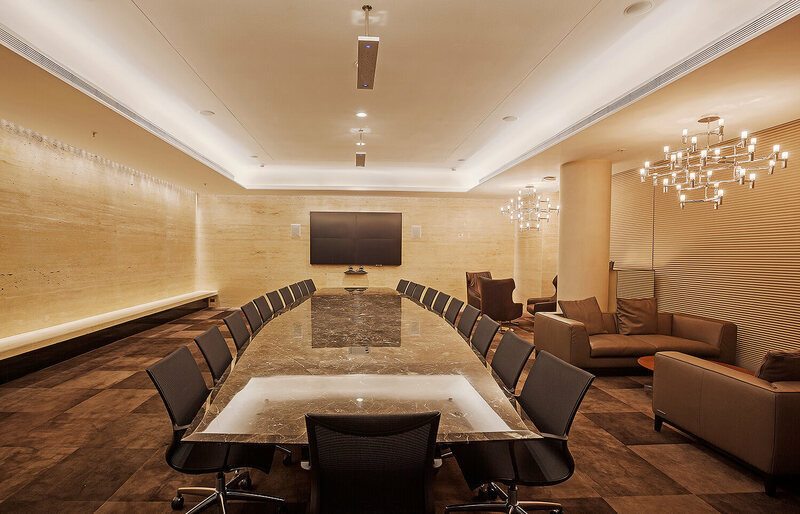 If the desire is to build and offer a great place to work then acoustics is inevitable. 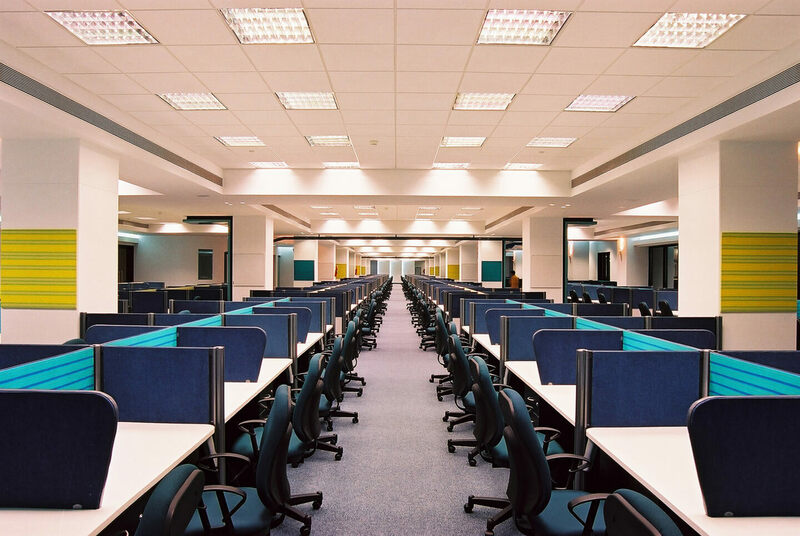 A developer, a builder, built-to-suit tenant, architect, client user, facility manager can ignore office acoustics only at their own peril. Troubleshooting post-occupancy is expensive, disruptive and less effective. 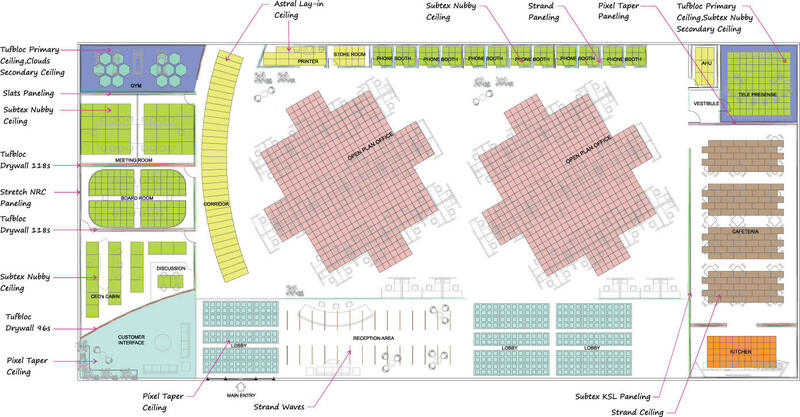 Acoustics embedded in the design from the concept stage actually can save money, overall to a project. 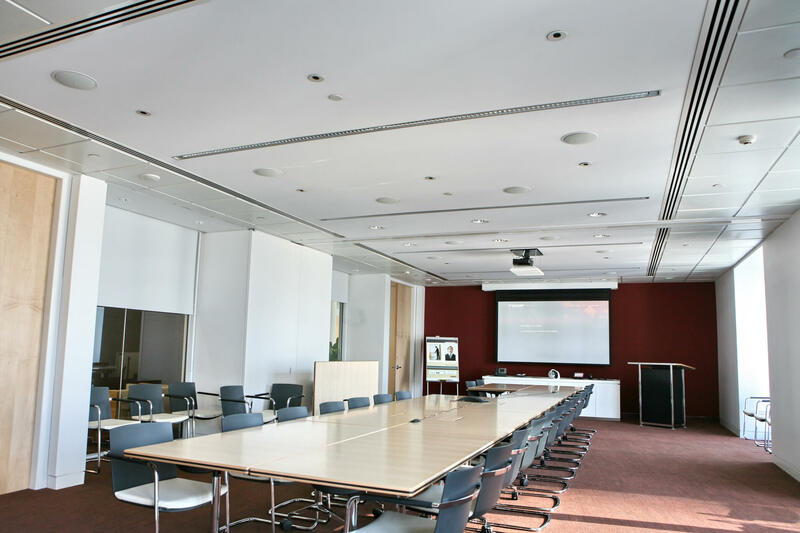 If Tufbloc drywalls cannot extend beyond ceiling level then Anutone offers Septum ceiling tiles with Subtex Nubby finish for a very high CAC index. This features high STC rating to minimise any crosstalk while retaining high NRC ratings for sound absorption. Subtex Shapes, Clouds and Wave baffles, if in Nubby superwhite finish, must be installed against a matte black plenum and uplighting for best aesthetic results. 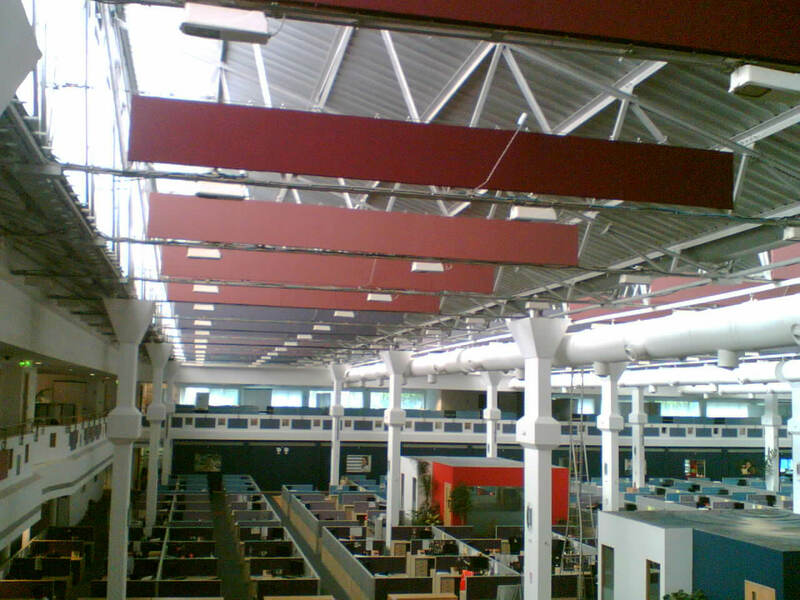 For additional sound absorption the matte black plenum can be a primary acoustical ceiling of Subtex |Roctex | MatEbony. 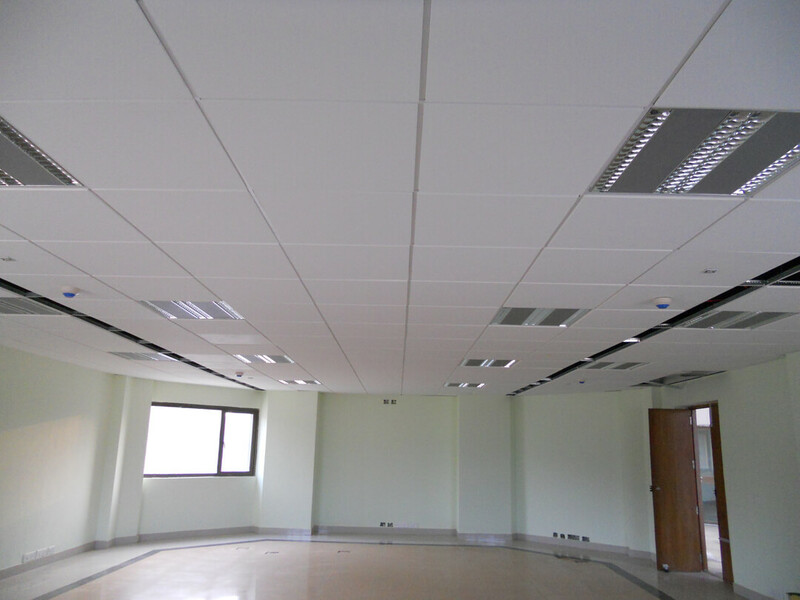 Subtex Nubby ceiling tiles are suited for most areas due to high light reflectivity and fully encapsulated rear to prevent any fibre erosion into the return air plenum. Perforated metal like Astral Serge and perforated gypsum like Pixel Series are meant for corridor areas where frequent access to plenum utilities is required. 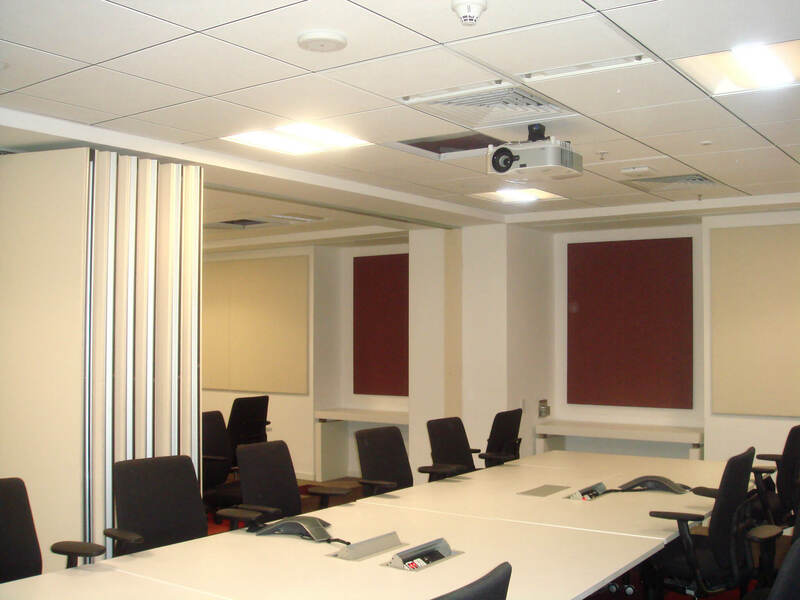 Slats Surco wall panels work well as wooden finishes for high end closed spaces like conference rooms and board rooms whereas Subtex NRC or Stretch NRC provides fabric upholstered walls. 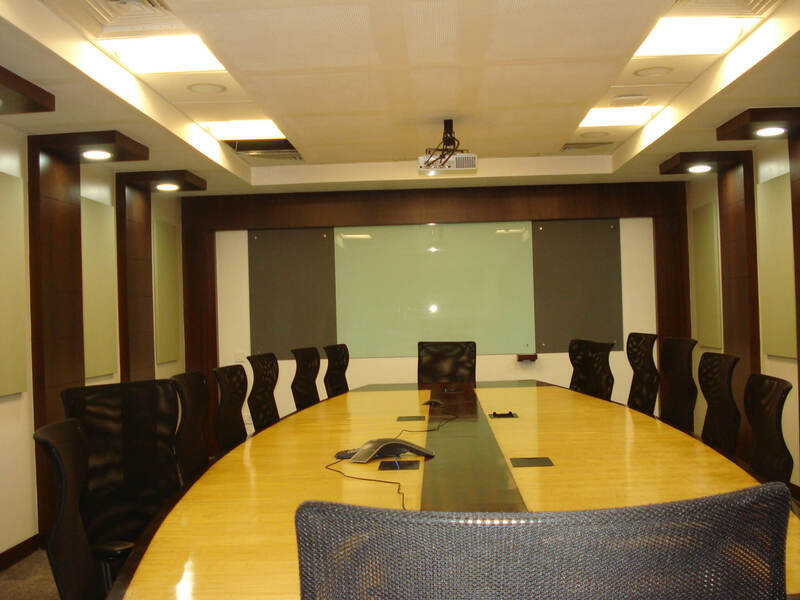 Anutone studies every minute aspect of an office space for product solutions. Refer to concept drawings below.